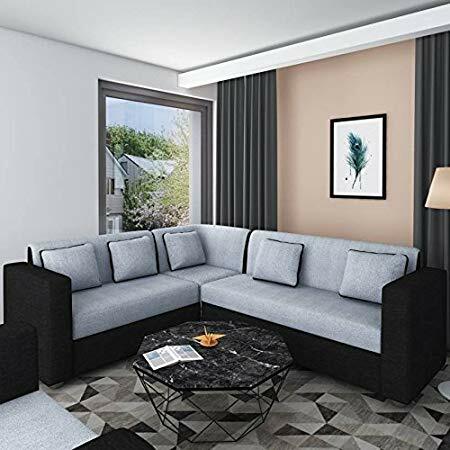 In this post, I will cover some of the best L Shaped Sofa Designs that you can buy online in India. I spent numerous hours looking at multiple websites to bring you this exclusive collection for your Living Rooms. I have tried to cover products for all needs. You will find L shaped sofa sets suitable for Small as well as large living rooms. LHS (Left-hand side) & RHS (Right-hand side) sofas, as well as sofa, made using a variety of materials like wood, leather, fabric etc. If I had to choose just one design to recommend, I will surely opt for this particular L shaped Sofa from Urban Ladder. This model is available in three different colour variations. It can be converted into a double bed and also has a nice storage space underneath the chaise. I will start listing down the designs I liked and links to websites where you can find more details as well as order them online. I will start off this list with a couple of economical options first. However, please do remember that you always get what you pay for. So the finish of these budget options will not be as good as the premium options listed towards the end. The product shown above is made using Sheesham wood. I really like the colour combination of the product, walnut shaded wood and white cushions. This combination will work well for most modern living room decors. The sofa is 58 inches x 73 inches (approx) in dimensions and should fit well in most small living rooms. RoyalOak is a well know furniture brand in India. You can find their products online as well as offline in multiple cities across India. This is a good option for someone looking to buy dark coloured furniture for their living room. 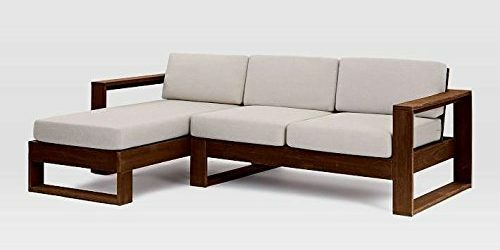 This is a four seater sofa which comes with a detachable square unit (as seen in the image above). The detachable unit can be placed as per your needs. It can be used as a leg rest or to extend the seating capacity of the sofa as well. Urban Ladder has quickly risen to become of the leading furniture brands in India. They are known for proving amazing designs, really good quality products and an excellent after sales service to its customers. 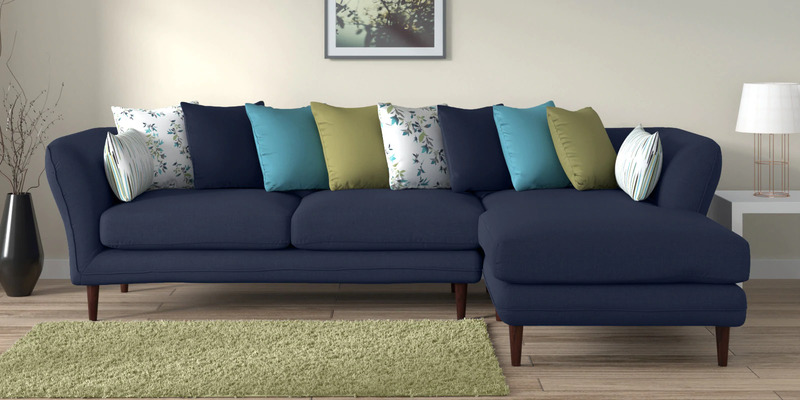 The Kowloon range of sectional sofa is available in three different colours. 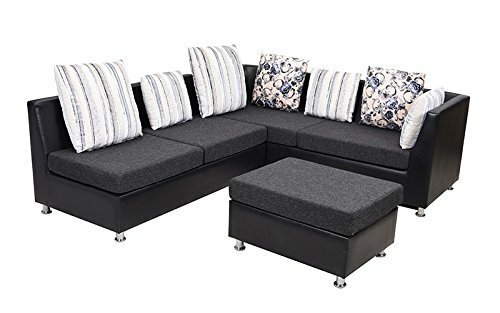 This sofa can be easily converted into a comfortable double bed in case you have some guest coming down to your home for the night. This L Shaped Sofa also comes with storage. You can simply lift the chaise (lounger) to store some essential items like blankets, cushions etc. Urban Ladder also provides a 12-month warranty against any manufacturing defects. This is the product of my choice and the best L Shaped Sofa by Urban Ladder. It is a fully adjustable sofa which can have the lounge chair on the left or the right side as per your requirements. It is also available in two different colour variations to match the theme of your living room. You don’t have to worry about buying an LHS or an RHS sofa unit as this particular product can be configured both ways. The backrests on the sofa are also configurable. You can keep them high when you are in need of a more comfortable seating position and keep them tucked in on regular days. Unlike Urban Ladder that offers own products, PepperFry is more like a marketplace with select sellers on-board. 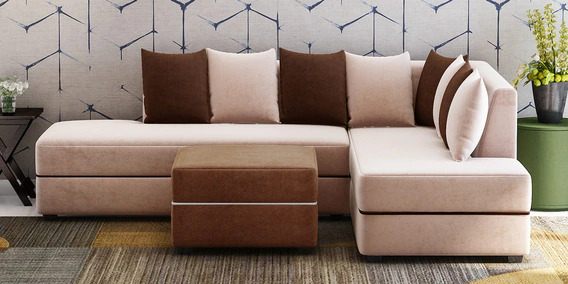 This particular sectional sofa is sold by CasaCraft and is amongst their top selling products from the category. Pepperfry offers you an option to choose the colour of the fabric as per your choice. You can also request for the fabric swatch to be mailed across to you so that you can clearly visualize how the product will look in your living room. 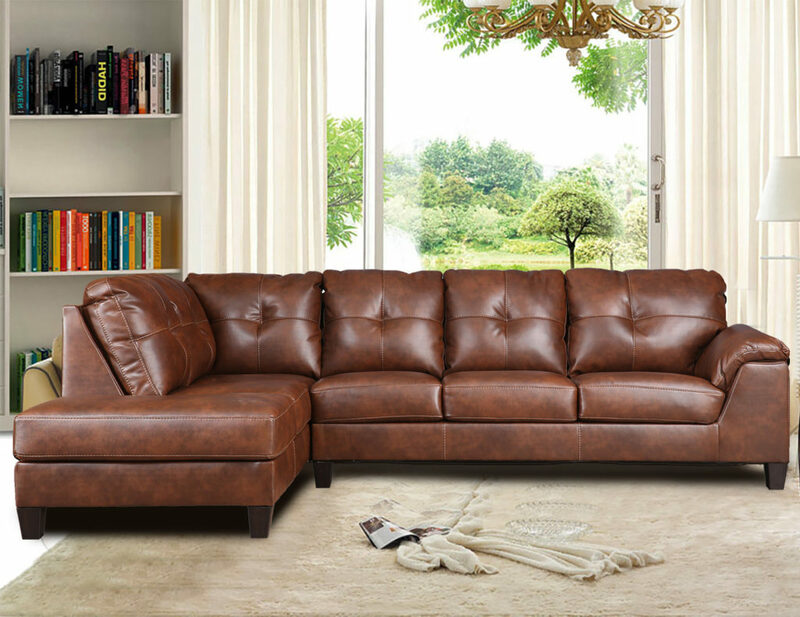 This next sofa on my list has a more leather-like look and finish to it. The cushions are dense and comfy (Both back as well as bottom cushions). This model is available in both LHS as well as RHS units to meet your needs. 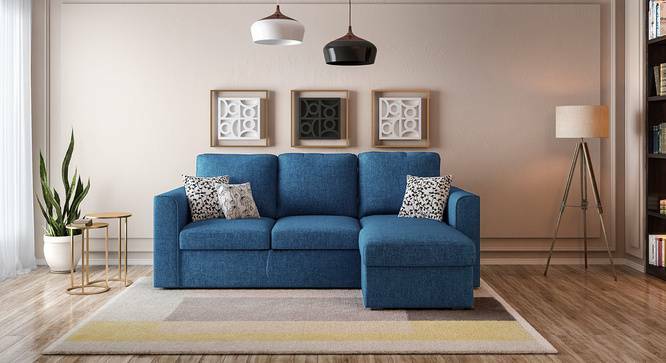 A basic, low-cost sofa with comes with small storage space as well. You can use this space to keep magazines, newspapers or other small essential items like remote controls for television, home theatres etc. This model is available in two different colour on Amazon. The seller offers an 18-month warranty on the product. As you would have already guessed looking at the name of this product, this is a private label brand owned by Flipkart. The quality of the product looks really good for the price you are paying for this L shaped Sofa. Again one of the best selling on Amazon India. The seller has some really good feedback on the website. The sofa is a combination of a 3 seater, a 2 seater and a corner seat and is made using acacia wood. 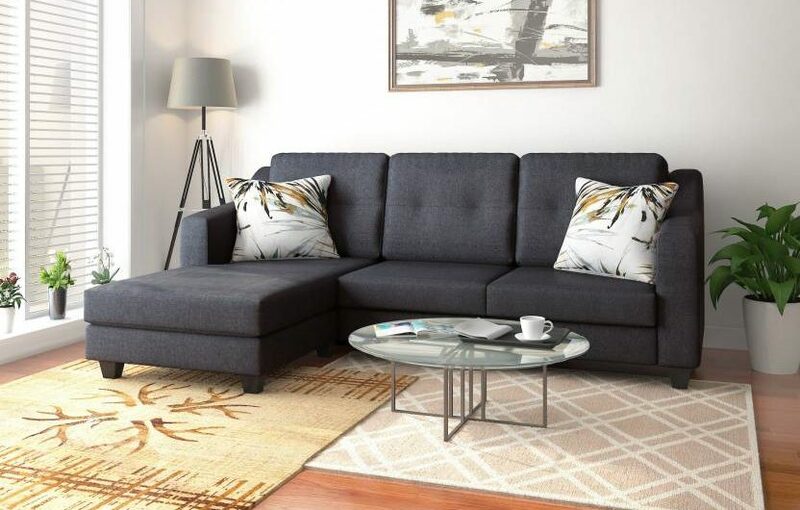 A very modern and minimalist sofa design by PepperFry. This particular sofa is available in two different colour variations at the time of writing this review. I left one of the best designs for the last. This sofa by Durian, is made using Semi Aniline Leather. Its winged design makes it very comfortable to sit and luxurious to look at. The headrest on this product can be easily adjusted to your needs. 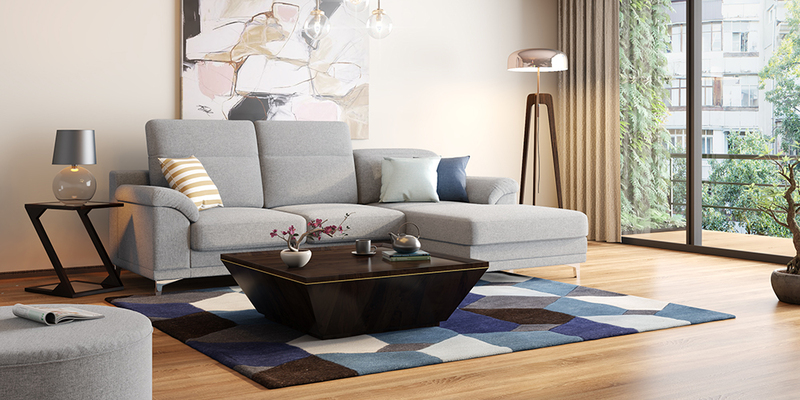 The sleek steel legs are durable and adds to the beauty of this sofa. This brings me to an end to my review of the Best L Shaped Sofa Designs in India. I hope you liked the products that I have selected and were able to buy one for your living room. If you have any suggestions or designs that you think should be on this list, please do feel free to reach out to me using the comments section below. Subscribe to get more home decor Ideas & latest offers.